“The grill man is the most important part of the operation. Take 2 ½ hours to do the meat. Most people smoke their meat. Me I grill. 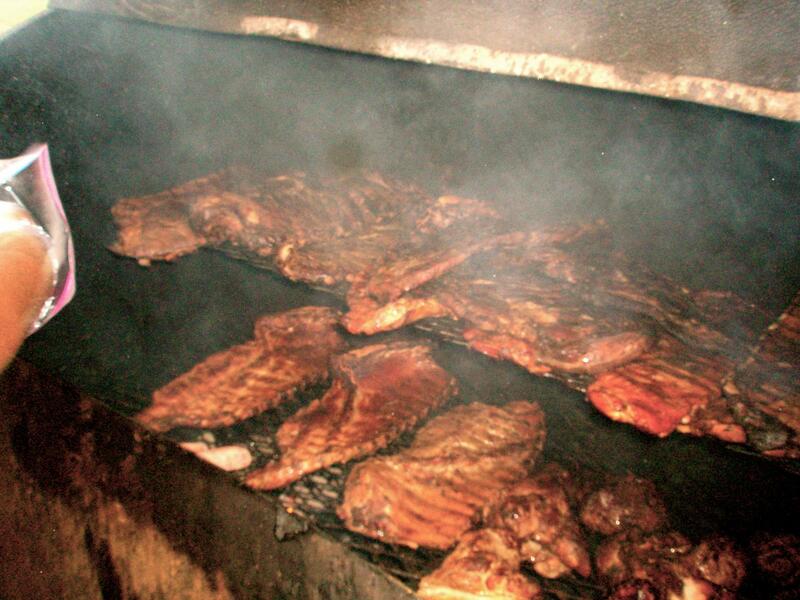 But I use oak wood for the flavor,” Adrian says, pointing to the burning coals of oak beneath the smoker. 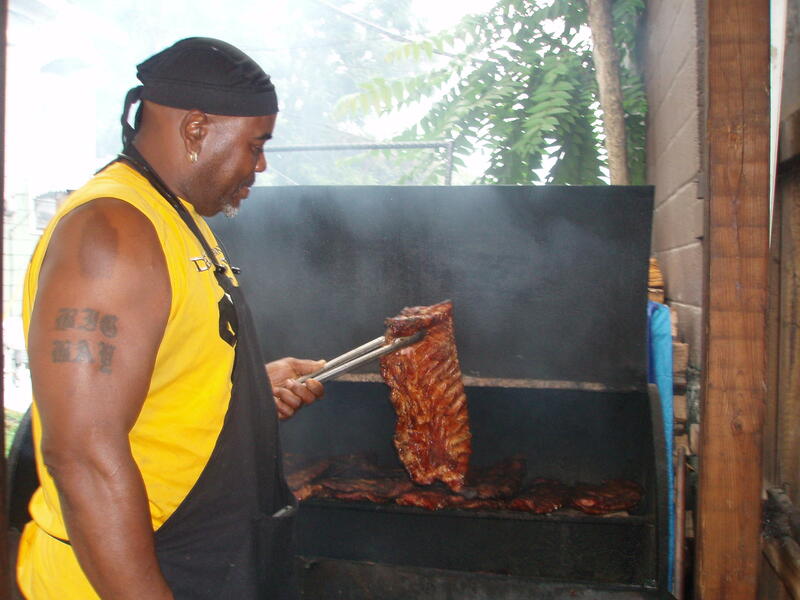 Adrian owned a barbecue and soul food restaurant in Tampa, Florida, where he played professional football. 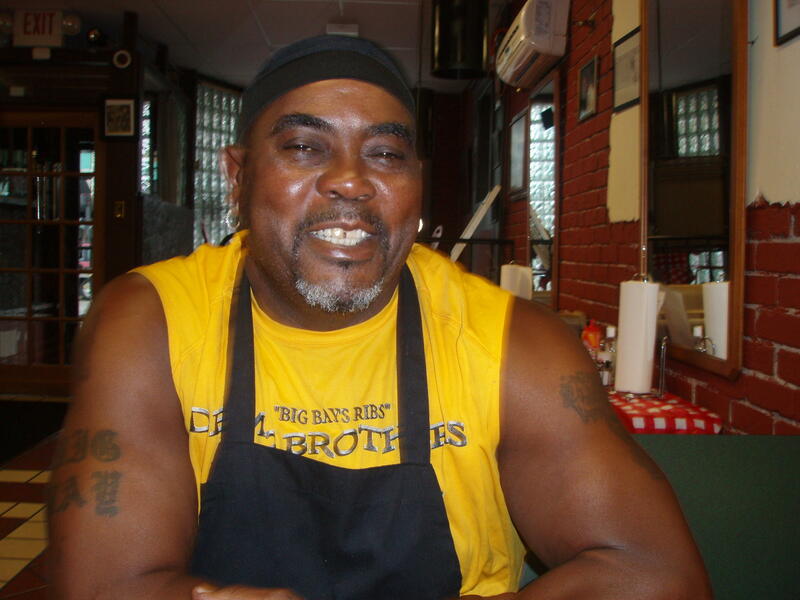 After he retired, he returned home in 2010 when he began selling barbecue from out of a food cart on the corner in the open air. Last year he expanded into the Five Corners Building, at 426 Virginia Street East. "Basically everything that I try to do is from scratch. I take it from what my mother taught me, what my father taught me," says Adrian. Adrian grew up in Charleston, and he moved back home in 2010 to be closer to his mother, his brothers, and his sister. Just about everyday, one of his brothers is working with him in the kitchen or helping grill the barbecue. But what his parents really taught him, Adrian says, is to be sure to cook with love. And it shows. The restaurant is growing— since Adrian first sold barbecue on the Five Corners sidewalk in 2010 till he expanded into the Five Corners Building last year. And three weeks ago, Adrian and his brothers opened another location about 20 miles away in London, West Virginia, which has a smaller menu with just a couple of sides. 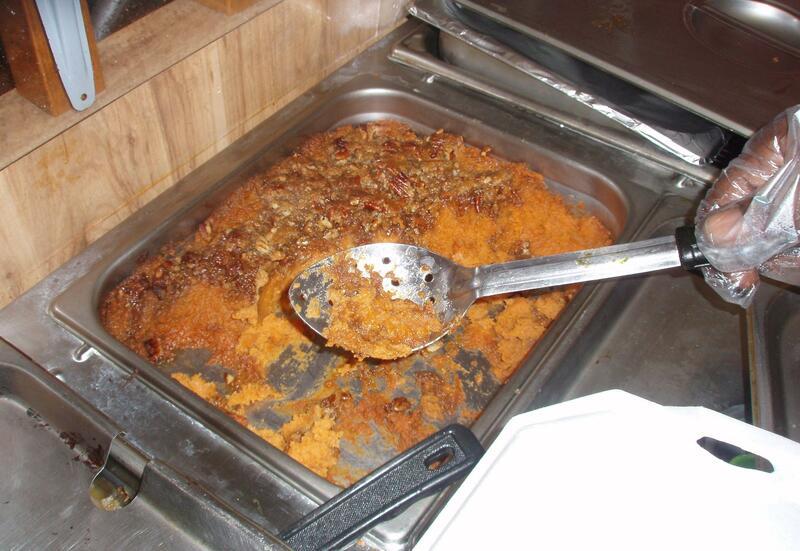 Here at the original restaurant, collard greens and, sweet potato casserole are some of the soul food sides that are customer favorites. The ribs and pulled pork sandwiches are what most people order when the restaurant opens for lunch. Don Raynes works down the street. He’s eating pulled pork. “It’s fantastic. I’ve kind of watched them evolve from the corner, when they worked there, to their restaurant here, and it’s a lot nicer that you can come in and sit down and have a meal,” Don says. 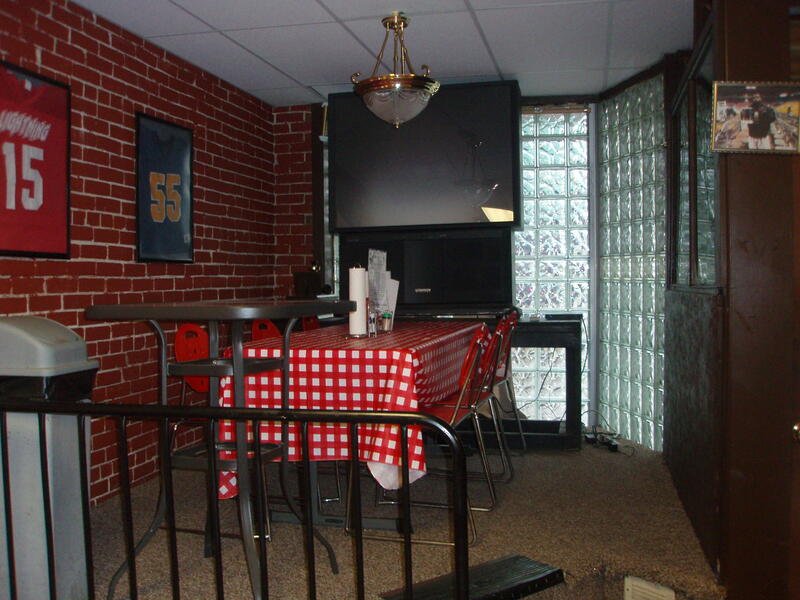 And some people that eat here remember when the Five Corners Building used to be a favorite bar and grill. “I mean, everyone says if these walls could talk, it could tell a whole lot of stories about Charleston, about West Side, about just this building period,” says Adrian. But Adrian does admit that his barbecue restaurant is located in a neighborhood that sometimes carries a bad reputation. That reputation, he says, is more of a stereotype people have against the West Side. Dem 2 Brothers and a Grill is more than a restaurant, to him. It’s a place where these good people can gather. "I don’t ever get up the morning and say, oh man, I don’t want to go to work today. I jump on up, come and do what I got to do. And watch the joy of people’s faces when they eat my food. This is a family business. And I want everybody to come in and enjoy the food." And that food brings people together. 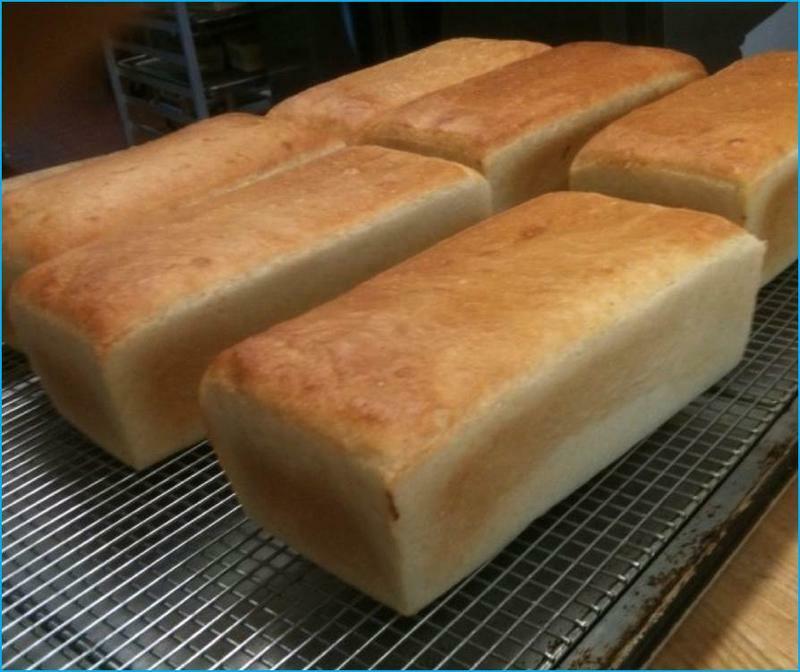 Salt Rising Bread is an Appalachian traditional bread made without yeast. It’s a baking custom that can be traced back to the 1800s. But not much has been documented about the bread or its history, so two women in Mt. 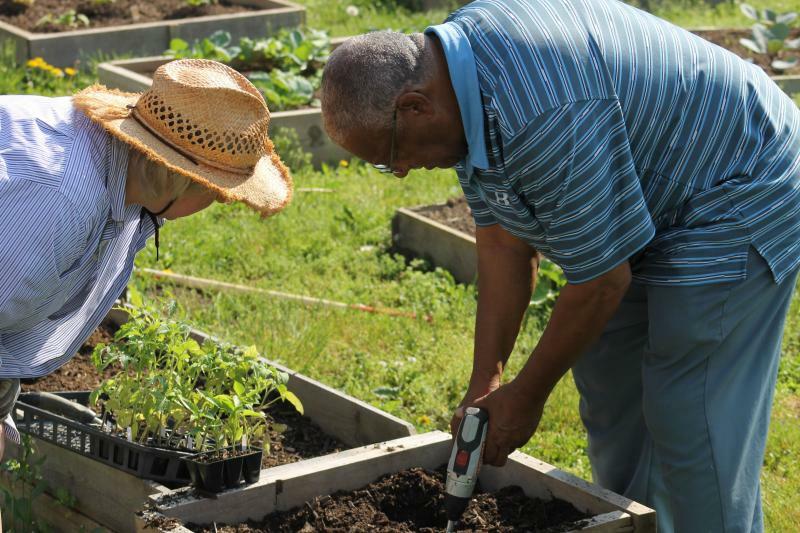 Morris, Pa., began a quest to understand the hows and whys behind a tradition that seems to captivate anyone who catches wind of it. Bakers Jenny Bardwell and Susan Brown have been researching the bread for 20 years.